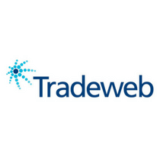 The vision for this role is that the successful candidate will build a working knowledge of Tradeweb’s products, pricing, systems and data as quickly as possible and then leverage this foundation to add value to the business. Oversee the reporting on performance against Forecast, identifying key drivers and flagging any underlying opportunities/issues. Build and maintain a dynamic forecasting model and strategic plan that blends top down and bottoms up assumptions. Minimum 7-10 years of progressive experience in financial planning and analysis, with exposure to financials, accounting, and operating budget management. Proven track record of influencing stakeholders and senior management.